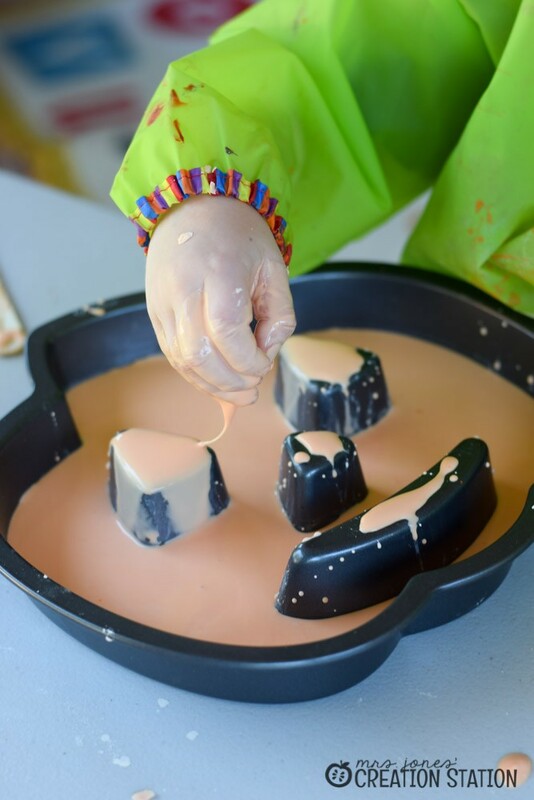 Ooey-gooey sensory investigation…what is better to explore with your little learners for a Halloween science activity? 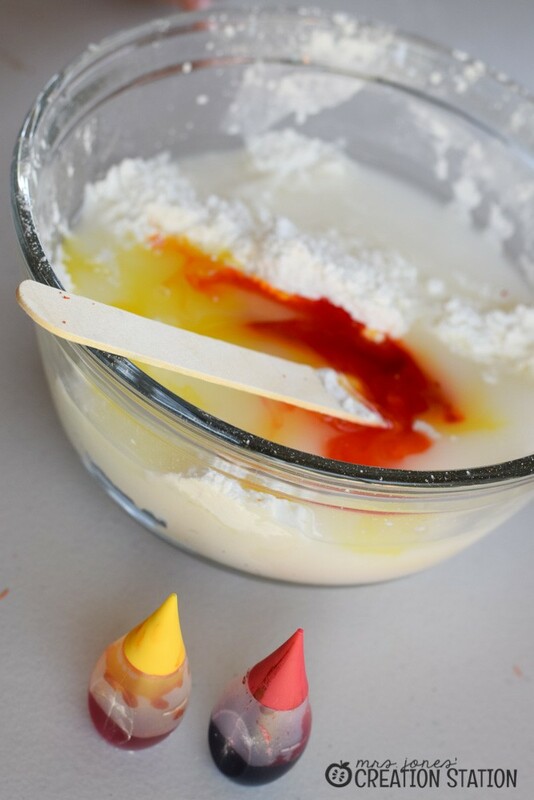 This easy mixture is not only fun to play in but creates a variety of science learning opportunities. 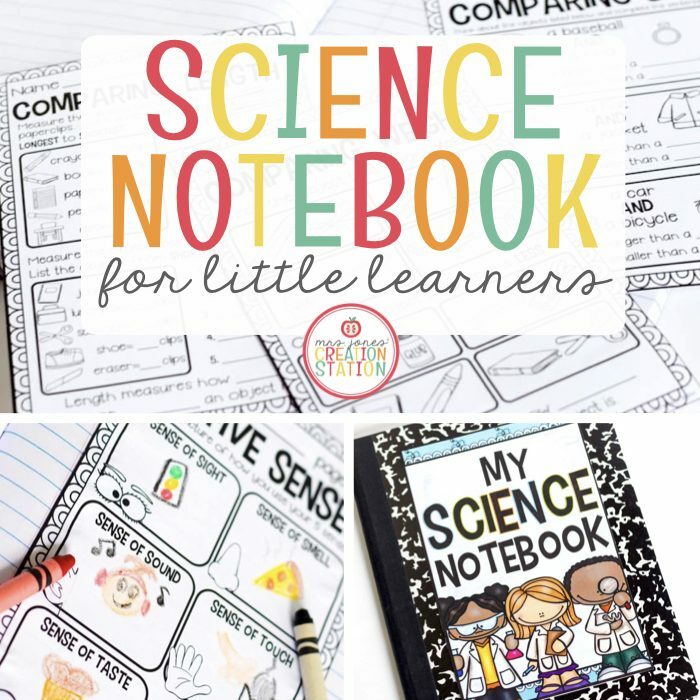 NOTE: We focused on communicating our observations about the investigation orally, but you can also create charts or use experiment pages to communicate observations, as well. 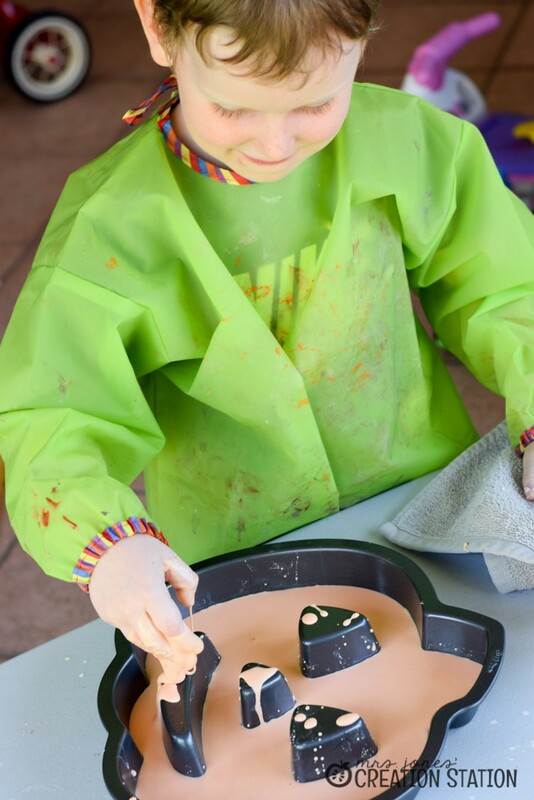 We got started by collecting all of the materials we needed for our oobleck mixture…equal parts cornstarch to water, food coloring , and our mixing materials! 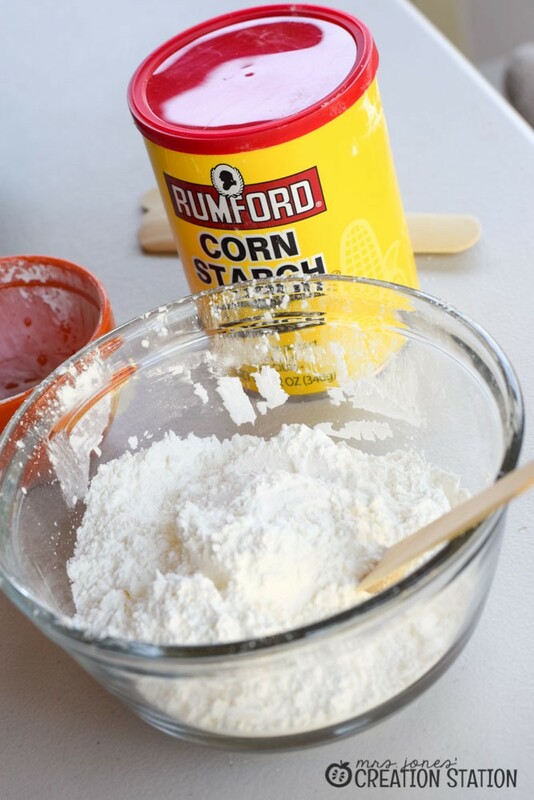 We carefully measured the cornstarch and discussed why it was important to measure during a science experiment and why we couldn’t just pour. G was able to communicate that “it wouldn’t turn out right if we didn’t measure it”. 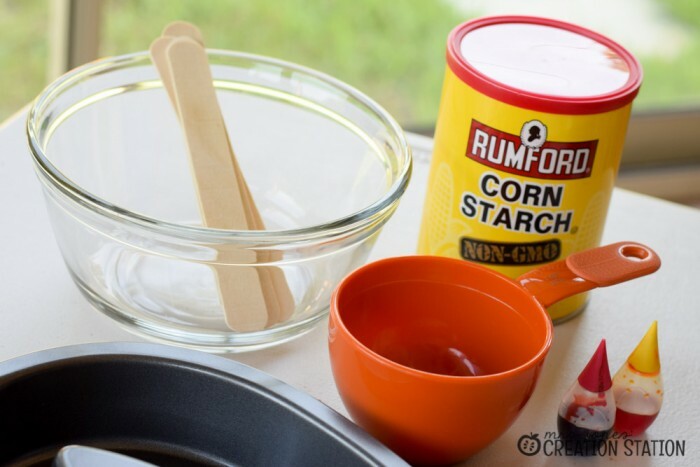 I also let him feel the cornstarch and water separately with his fingers before we mixed them together. We discussed how they felt. (Cornstarch: soft, fluffy; Water: wet, cold) This portion was important to our activity because of the consistent that oobleck mixture creates. We then worked together to make the perfect color orange for our pumpkin (we picked the food coloring we needed to create orange when gathering our materials – a great way to review color mixing). He was able to mix the oobleck on his own for a little while but, then I stepped it when it started to get “sticky” as he said. 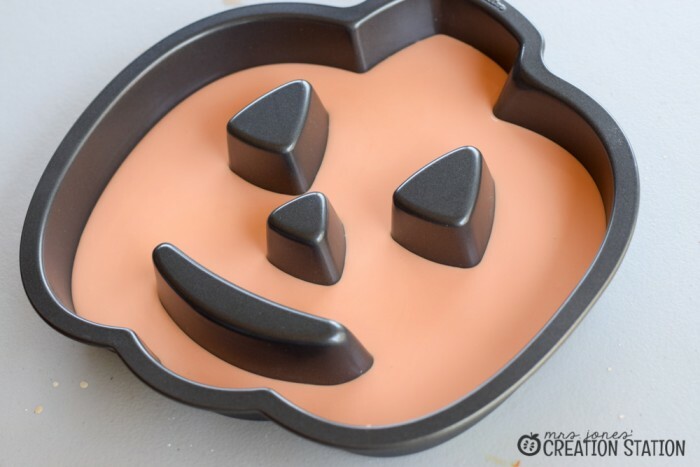 We added a little more cornstarch to get the “perfect” consistency and then we poured our oobleck into our Jack-o-lantern baking pan for some exploration fun! 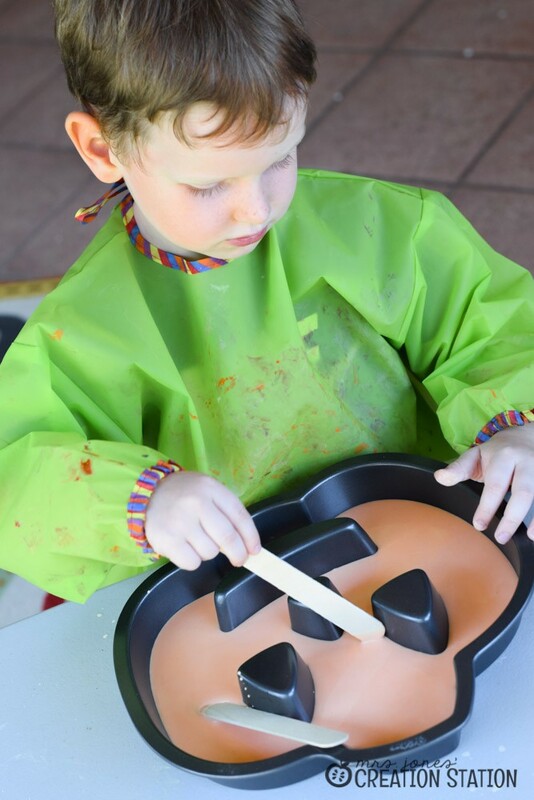 It took a little bit for G to warm up to the mixture, so he began by using the sticks . Soon enough he was ready to get his hands messy! 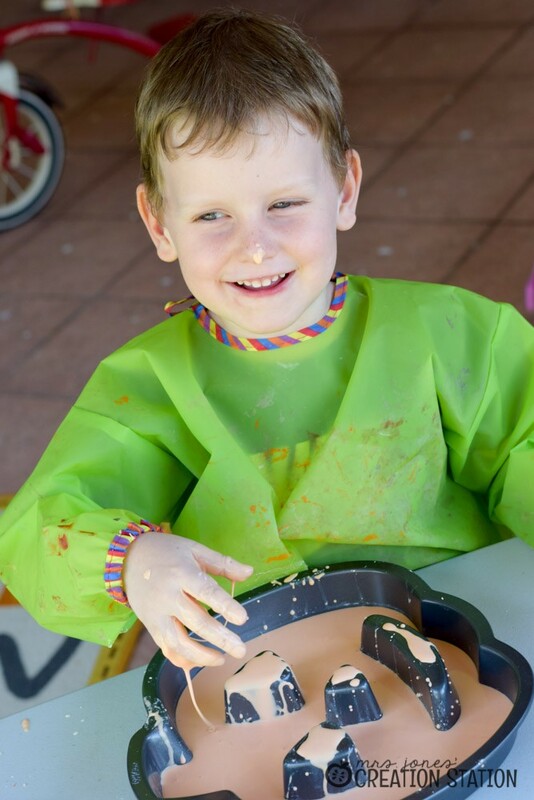 Once the oobleck exploration had begun it is time to let the conversation start… How does it feel? What does its texture remind you of? Is it a solid or a liquid? 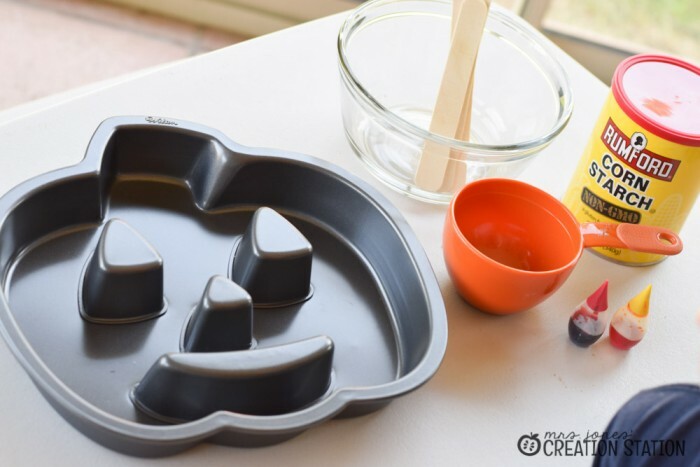 What happens when it dries? This was a perfect way to bring the senses into our investigation. With messy science fun having a pencil and paper might not be the best idea. But talking through what learners see, hear, smell, feel and, hopefully not, taste might create a better learning atmosphere. 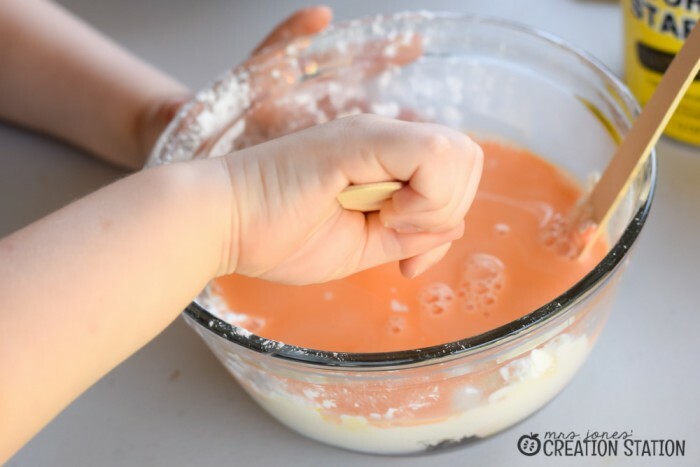 You can use the experiment page in my Science Notebook for your older learners to help them organize their observations and the procedure used to create the oobleck. 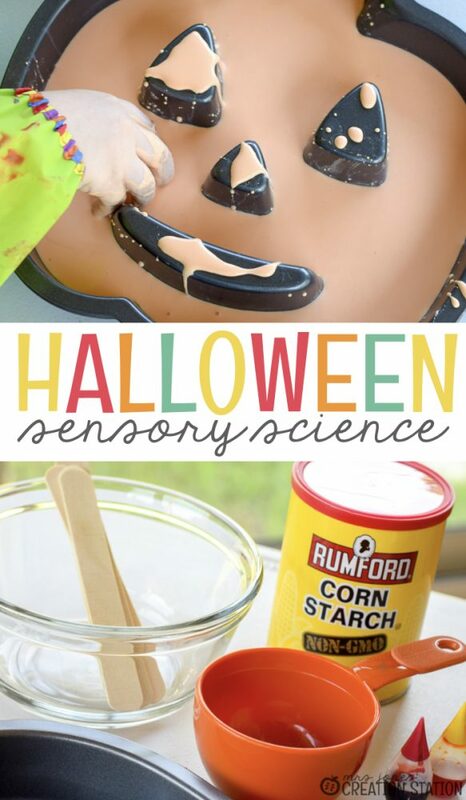 If you are looking for more Halloween fun or a way to make sure your learners got the full science experience. Be sure to check out the resources below.